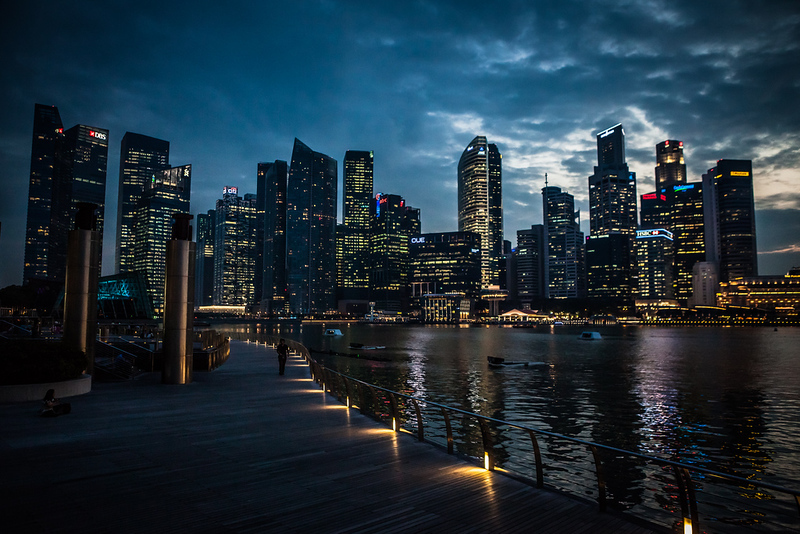 The three days in Singapore itinerary lets you see the city centre, spend a day on Sentosa Island and visit some of Singapore’s top cultural attractions. Our three day Singapore itinerary includes everything from world class shopping to a fun trip to the Singapore Zoo. It also includes a variety of options for the afternoon of your third day, from nature trails to war memorials and more. You can find the first two days of our Singapore itinerary in our One Day in Singapore and Two Days in Singapore guides, which cover areas like Orchard Road, Gardens by the Bay, Sentosa Island and Chinatown. Singapore is home to one of Asia’s best zoos, which serves as home to over 2,800 animals and 300 different species. The zoo covers more than 26 hectares and includes a massive range of zones and exhibits housing animals from all over the world. Singapore Zoo is located on Mandai Lake Road, a reasonable distance from public transport. To get there from the city centre, take the MRT to Khatib station, then get the Mandai Express bus from Exit A to reach the zoo. The bus costs $1 per person and runs from 8:30am until 7pm daily. You can view an online bus schedule on the Singapore Zoo website. It’s also possible to get to the zoo by taxi. The ride takes 25-30 minutes from the city centre, depending on traffic. Private parking is available at the zoo for people with their own vehicles. 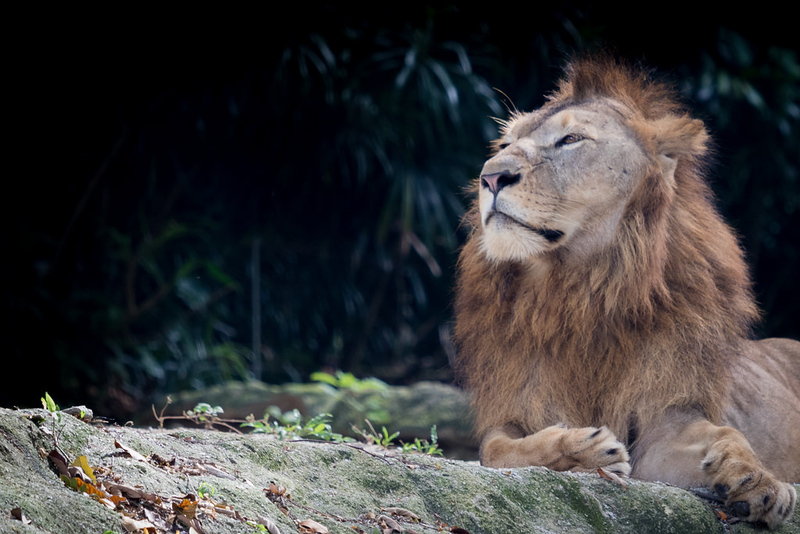 Singapore Zoo is large and comprehensive, meaning you’ll want to spend at least three hours here to see the zoo’s full range of exhibits. Open from 8:30am until 6pm, it’s best to arrive as early as possible to avoid the crowds and see the zoo before the midday sun arrives. There are several restaurants within the zoo serving local and Western food, making it easy to stop for lunch without having to leave. If you arrive before 9am, you can even have a full jungle breakfast alongside the zoo’s orangutans. After you’ve spent the morning enjoying Singapore Zoo, there are several things you can do to fill in your afternoon. We’ve included five recommendations below, ranging from natural trails to shopping areas, public gardens and war museums. The MacRitchie Nature Trail and Reservoir Park is a walking trail inside the Central Catchment Nature Reserve in the centre of Singapore. A short distance from the zoo, the nature trail is an excellent place to see a side of Singapore that most tourists never get to see. 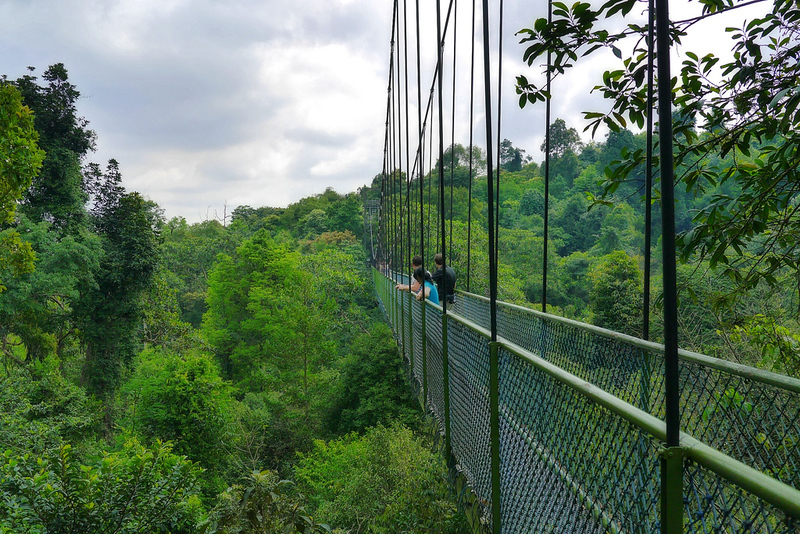 Spread over 11 kilometres, the nature trail passes through some of Singapore’s most impressive areas of tropical rainforest. Along the way, you’ll see squirrels, lizards and macaques, as well as a variety of birds, owls and even flying lemurs. The MacRitchie Nature Trail is an easy walk that anyone in average or above average health should be able to complete. 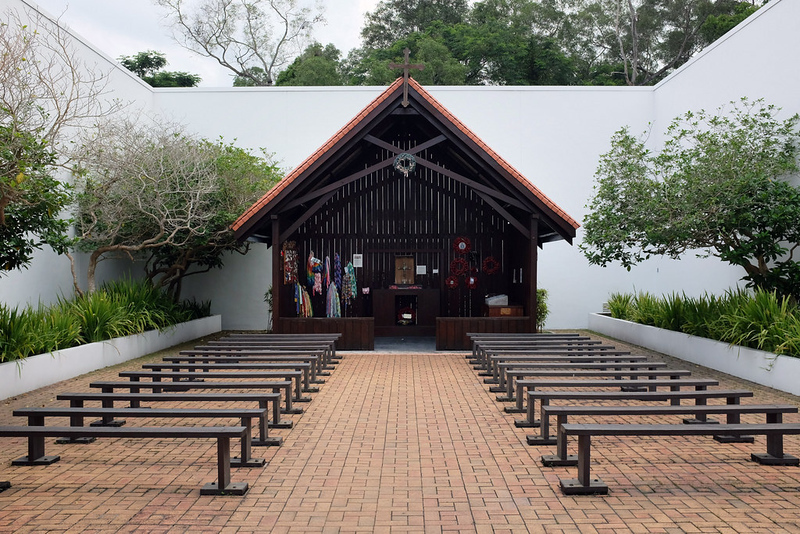 There’s also a shorter three kilometre route, which is a better option for people that want to see the natural side of Singapore in a shorter period of time. 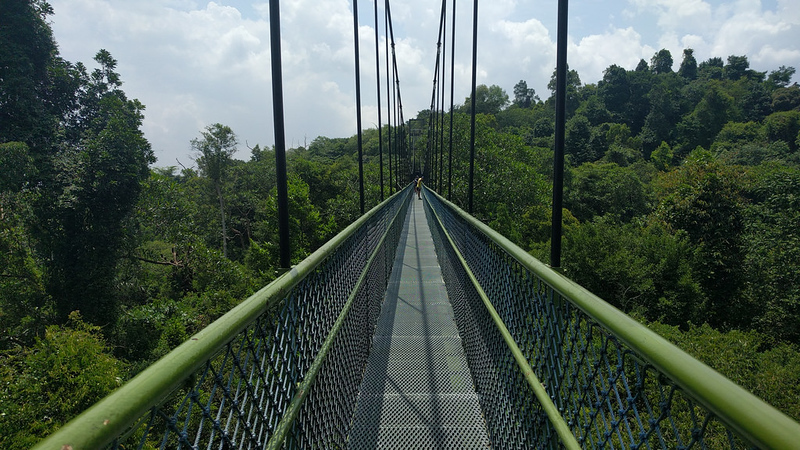 Both trails pass over the Treetop Walk — a pedestrian suspension bridge that offers amazing views of the reserve. Quiet, peaceful and beautiful, the Singapore Botanic Gardens are an interesting place to spend the afternoon. The 158-year-old gardens are the world’s only tropical gardens to be categorised as a UNESCO World Heritage Site. The gardens cover more than 82 hectares and include an incredible range of plants, with more than 10,000 different species of flora. 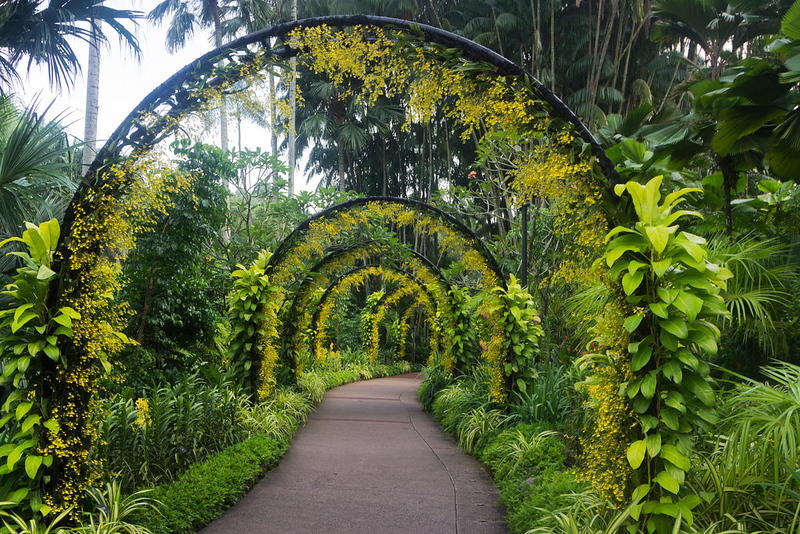 The National Orchid Garden, which contains the world’s largest orchid collection, is located inside the main gardens and is definitely worth a visit. Other attractions inside the gardens include the six hectare tropical rainforest, beautiful ginger gardens and Palm Valley, which is a popular picnic spot for locals. Located a short walk away from Orchard Road, the gardens are easy to reach using the Botanic Gardens MRT station. 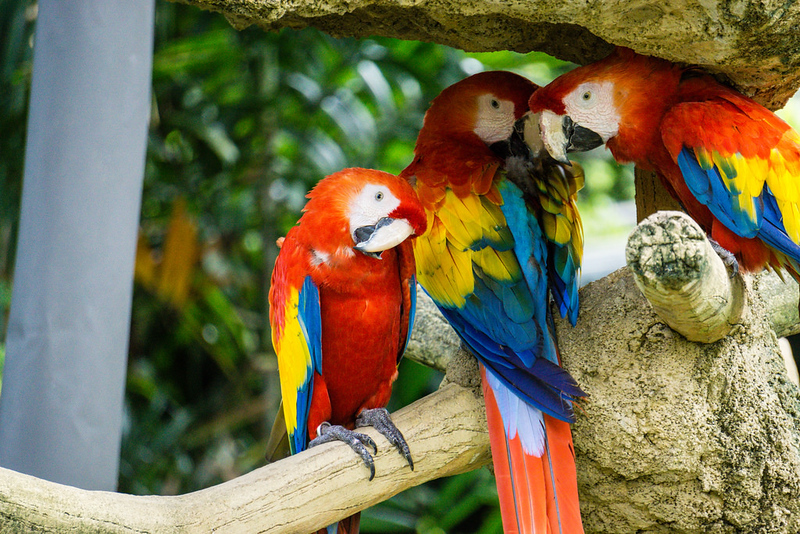 A great option for families with young children, Jurong Bird Park is a wildlife park that’s home to the world’s largest and second largest walk-in aviaries, each with hundreds of birds from a large range of different species. The park is divided into several exhibits, each offering a chance to see birds from different parts of the world. Some of the key areas include the Dinosaur Descendants exhibit, which contains a variety of flightless birds, and the Southeast Asian Wings of Asia exhibit. There’s also a large penguin exhibit, a nocturnal bird house and African bird aviary that houses more than 50 African bird species. The park also holds a variety of shows featuring everything from pelicans and cockatoos to falcons, hawks, eagles and other birds of prey. Getting to Jurong Bird Park from the central city is fairly simple. The nearest MRT station to the park is Boon Lay (EW27). From here, you can catch the 194 bus from Boon Lay intersection to the park, which is approximately three kilometres away. History enthusiasts will enjoy Changi Museum, which documents life in Singapore during World War II and the city-state’s occupation by Japan. The museum, which opened in 2001, includes photographs, letters and drawings made by people interned at Changi Prison during the war. A sobering experience, Changi Museum is a moving break from the hustle, bustle and activity of Singapore’s central areas. Highly recommended (especially the audio tour) for people interested in learning more about Singapore’s role in World War II. Changi Museum is located on Upper Changi Road North, quite close to Changi Airport. To get to the museum, take the MRT to Tanah Merah station, then catch SBS Bus No. 2, which stops just outside the museum entrance. Buddha Tooth Relic Temple and Museum, a Buddhist temple and museum built in the Tang dynasty architectural style, located in Chinatown. Chinatown Heritage Centre, another easy to access attraction in Chinatown that shows what life was like for Singapore’s Chinese migrants in the 1950s. The Asian Civilisations Museum, which has a variety of exhibits on Pan-Asian culture and history. The Singapore Art Museum, which has a large collection of contemporary Asian art and occasional foreign exhibitions. Maxwell Road Hawker Centre, which is one of Singapore’s most popular hawker food buildings, with a great selection of local food from across Asia. Smith Street, which is a popular dining street in Chinatown that’s the perfect place to enjoy a cheap, tasty Malay, Indian or Chinese meal. Bugis Food Village, which is a recently renovated hawker centre that’s close to Orchard Road, Bugis and other central areas. Other good options for dinner include Clarke Quay, where you can find a variety of Western bars and restaurants, and Orchard Road, where you can find surprisingly good food courts inside the ION Orchard and Wisma Atria malls. 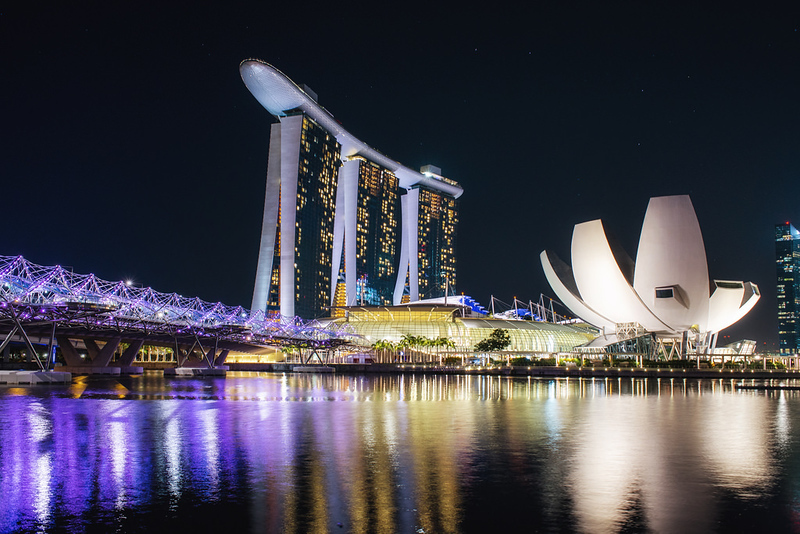 The best places to stay in Singapore are around Marina Bay, which is where you’ll find most of the city’s luxury hotels, or close to the Orchard Road shopping area. If you’re a budget, you can find most of Singapore’s cheap accommodation in Chinatown. Since all of central Singapore is covered by the MRT, getting around is easy regardless of where you choose to stay in the city centre. One of Singapore’s most luxurious hotels, Marina Bay Sands offers great views of Singapore’s central business district and spacious, modern rooms. It also has one of the world’s best hotel swimming pools, located in the 57th floor SkyPark. Another luxurious choice, the Pan Pacific Singapore has large, modern rooms and a convenient location near Esplanade MRT station. Facilities at the Pan Pacific include a large outdoor pool, a fitness centre and several restaurants and bars. Located close to one of Singapore’s most popular dining and nightlife areas, the Novotel Clarke Quay is a great choice if you want to be close to Orchard Road, the National Museum and other popular tourist attractions. The Holiday Inn Express is located right beside Somerset MRT station, giving it one of the best locations in Singapore’s commercial centre. 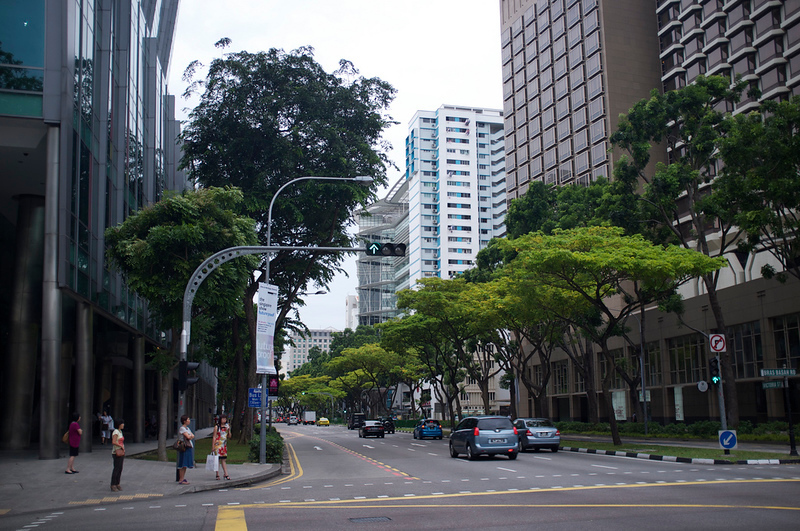 From the hotel, it’s a short walk to the malls, retail stores and restaurants on Orchard Road. Located in Chinatown, Beary Best Hostel is a small backpacker hostel offering dorm beds and private rooms at reasonable prices. The accommodation here is on the simple side, albeit with good levels of cleanliness and comfort. Another cheap and convenient accommodation option in Chinatown, Cube Boutique Capsule Hotel offers a variety of self-contained capsule beds in shared dormitories, with reading lights, private lockers and other useful facilities to make your stay more comfortable. Start Planning Your Singapore Trip Now! :: Find available places to stay in Singapore on Booking.com - usually you can reserve a room with no upfront payment. Pay when you check out. Free cancellations too. :: Find the cheapest flights to Singapore with Skyscanner - one search will show you the prices and times from scores of airlines for your trip. A real timesaver. :: Get travel insurance for Singapore from World Nomads - make sure you're covered to protect both your health and your belongings. World Nomads lets you buy insurance online quickly and easily. :: Need inspiration? Check our Singapore Itineraries for ideas of where to go and what to do. :: Explore our Singapore Travel Guide for more Singapore must-see destinations.